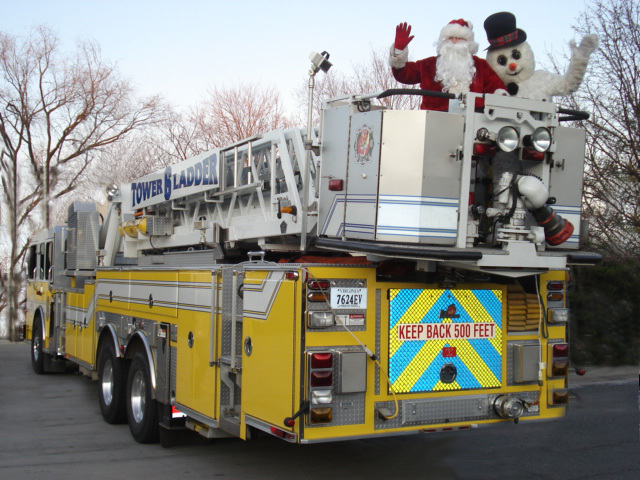 The Ashburn Santa Parade is a perennial favorite of children and adults alike, when Santa rides through Ashburn on a yellow fire truck. The Santa Parade starts at the Lansdowne Fire Station 22 at 5 pm, and ending at Ashburn Village Sports Pavilion at 6:40 pm (times are approximate). The route is subject to change due to timing, unforeseen traffic and/or road conditions, and the department advises the best places to see Santa are along Tournament Parkway, at the schools (in parking lots along the procession route) and at the Ashburn Village Sports Pavilion. Stay tuned to our Social Media channels and this site for more info!